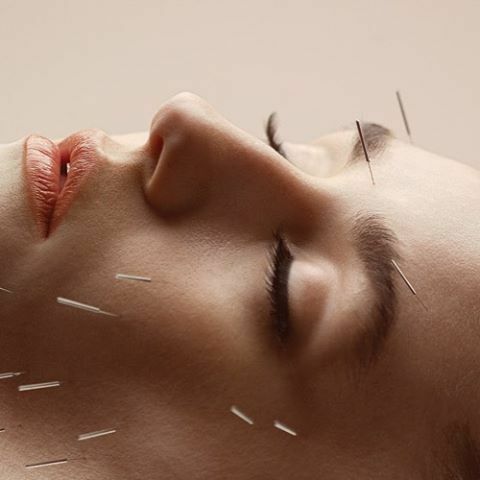 In 2014, I had acupuncture because designer and writer Molly Guy raved about it on Instagram. She had an acupuncturist she loved, and I waltzed into the appointment hoping to leave spiritually enlightened—and maybe half as cool as Molly. Of course, neither of those things happened, so I put the practice back on the shelf in my mind where I leave other “fads” and things that didn’t work for me personally. So when Mona Dan of Vie Healing recently approached me and offered an acupuncture treatment, I was skeptical—but just a tiny bit curious. Maybe it would be different this time around. I decided I had to make the story original—everyone’s heard of acupuncture by now—so I honed in on her practice of auricular acupuncture (aka acupuncture on your ear) and hoped to learn something new, even if I felt nothing personally. As it turns out, during the course of my session I felt a lot more than I bargained for. I left with tear-stained cheeks and a new story to tell. Read on to find out how acupuncture helped me get my blood moving, awaken my nervous system, and work through emotional blockages. In other words, “this is a workout for your nervous system. It’s a constant reminder to your body to wake up or relax so your body can harmonize and balance,” Dan says. Because auricular acupuncture was the original topic of my story, I’d be remiss not to tell you about it quickly. Basically, according to Chinese medicine, the ear is a powerful micro system, and when you stimulate it, it affects various parts of your body. “The ear has a lot of little nerve endings. It’s close to the brain, and your face holds a lot of muscles and nerves, and they all close off at the ear. On top of that, you have nerves from each organ that end in the ear,” Dan explains. It’s the perfect practice for someone who’s crunched for time—the session only lasts 30 minutes—but for the best results, Dan suggests incorporating auricular acupuncture into a full-body session. Before I get to what happened, it’s worth telling you my emotional state going into the appointment. I like to call it “frazzled.” Thanks to a combination of work and personal obligations, I was feeling stressed, reactive, frenzied, and exhausted. I was also still healing from a car accident a month prior, and dealing with a fractured rib, damaged nerve in my neck, and some other fun ailments. I learned in my time with Dan that the accident had put me into fight-or-flight mode (which is vital to human survival)—and my nervous system hadn’t calmed down since. The session not only balanced my nervous system, but it also worked on another main focus of Chinese medicine: blood flow. “In Chinese medicine, we say that emotions are held in the blood. So when blood pools and gets stuck, we feel stuck. We feel like we can’t process things. But as soon as blood starts flowing, emotions start moving, so some people get a release,” Dan explains. Apparently, the release is even greater if your session draws a few drops of blood (gulp!). “We say when you get a little bit of blood, it’s opening a window and releasing the old and allowing for new. That means we released some toxicity, some stagnation, some stuckness,” Dan says. As I walked out of my session, I felt instantly calmer and more relaxed. The “stresses” I’d been flustered by seemed smaller, my physical ailments felt tangibly better, and I couldn’t wait to book another appointment. Oh, and remember how my Instagram crush Molly Guy first inspired me to try acupuncture a few years ago? This time, as I walked out of the treatment room, one of my current favorite Insta celebs was sitting on the couch waiting for her appointment. Good omen? A sign I spend too much time on social media? Both, I believe. Have you ever had a compelling experience with acupuncture? Join the conversation in our Facebook group, and let us know.